But he likes searching for the answer to the question even more. Growing up before you could ask your phone to show images of insects that live under rocks or a fish dissection, a young Coombes would go out and find the answers. This innate curiosity has been reimagined into a career in research, with the Burlington-raised scientist at the forefront of infectious disease pathogenesis, focusing on the chain of events that lead to illness and disease. While he initially believed medicine was his calling, a summer job in a hospital diagnostic microbiology lab prior to his final year of undergraduate studies changed his perspective. Coombes subsequently graduated with a BSc (Honours) in Biochemistry and a PhD in Medical Sciences at McMaster. He would go on to complete a postdoctoral fellowship at the University of British Columbia’s Michael Smith Laboratories under Brett Finlay, a renowned leader in microbial pathogenesis. There, Coombes specialized in molecular and cellular microbiology, gaining an understanding of how bacteria use virulence factors to manipulate host cells and modify the host environment. He returned to McMaster in 2006 to join the Department of Biochemistry and Biomedical Sciences with a concurrent position as a research scientist with the Public Health Agency of Canada. Today, Coombes is a professor in the Department of Biochemistry and Biomedical Sciences at McMaster University’s Michael G. DeGroote School of Medicine, and he was appointed chair of the department in January 2018. He also holds the Canada Research Chair in Infectious Disease Pathogenesis. Of his many accomplishments, Coombes notes he is particularly proud of the research lab that he built from the ground up at McMaster. The major focus of the Coombes lab is drug-resistant bacteria associated with acute and chronic human diseases, including Crohn’s disease. In recent years, the team’s work has expanded to include antibiotic resistance. Coombes has partnered with McMaster’s Gerry Wright and Eric Brown to find answers in the growing crisis. Based on a growing interest in innovative research partnerships, Coombes’ team has also paired with fellow department member Jonathan Schertzer, who is breaking new ground in immunometabolism on how dietary and bacterial factors connect immunology and metabolism. As the former associate chair of graduate education in the Department of Biochemistry and Biomedical Sciences, Coombes firmly believes in mentoring the next generation of scientists. His well-known mentorship program has drawn top trainees to his lab. He affectionately calls them his second family. He proudly notes nearly every trainee who has passed through his lab has received an external award, totaling almost $2 million in funding. Coombes has a long list of awards and grants to his name, among which include McMaster University Scholar (2016), Canada’s Top 40 Under 40 (2010) and an Early Researcher Award from the Ontario Ministry of Research and Innovation (2008), among others. Gerry Wright, director of the Michael G. DeGroote Institute for Infectious Disease Research, was a member of Coombes’ PhD supervisory committee. He played a central role in recruiting Coombes back to McMaster in 2006. Coombes says his career allows him to continually fuel his fascination with discovery and creativity. He and his wife, Megan, are working to inspire that same resourcefulness in their children, Lauren and Ben. “Research isn’t just pure, hard-core science,” he says. “There is a tremendous amount of creativity. You have to think of a question, design an experiment to answer that question, understand what the data means and develop the next question. Brian Coombes likes to ask the question: ‘Why?’ But he likes searching for the answer to the question even more. Growing up before you could ask your phone to show images of insects that live under rocks or a fish dissection, a young Coombes would go out and find the answers. This innate curiosity has been reimagined into a career in research, with the Burlington-raised scientist at the forefront of infectious disease pathogenesis, focusing on the chain of events that lead to illness and disease. “As kids, my sister and I spent our entire summers outside trying to figure out how nature worked,” says Coombes as he fondly recalls summers spent at a rustic cottage in northern Ontario. “That curiosity and the quest for answers continue to drive what we do in the lab.” While he initially believed medicine was his calling, a summer job in a hospital diagnostic microbiology lab prior to his final year of undergraduate studies changed his perspective. “I thought I was bound for medical school, until the lab opened my eyes to a world I knew nothing about,” he says. “It was then I became interested in basic research. I was able to carve out a niche in the lab with the help of mentors and my supervisor to ask questions that no one knew the answers to and use my hands to do the experiments that would get me the answers.” Coombes subsequently graduated with a BSc (Honours) in Biochemistry and a PhD in Medical Sciences at McMaster. He would go on to complete a postdoctoral fellowship at the University of British Columbia's Michael Smith Laboratories under Brett Finlay, a renowned leader in microbial pathogenesis. There, Coombes specialized in molecular and cellular microbiology, gaining an understanding of how bacteria use virulence factors to manipulate host cells and modify the host environment. He returned to McMaster in 2006 to join the Department of Biochemistry and Biomedical Sciences with a concurrent position as a research scientist with the Public Health Agency of Canada. 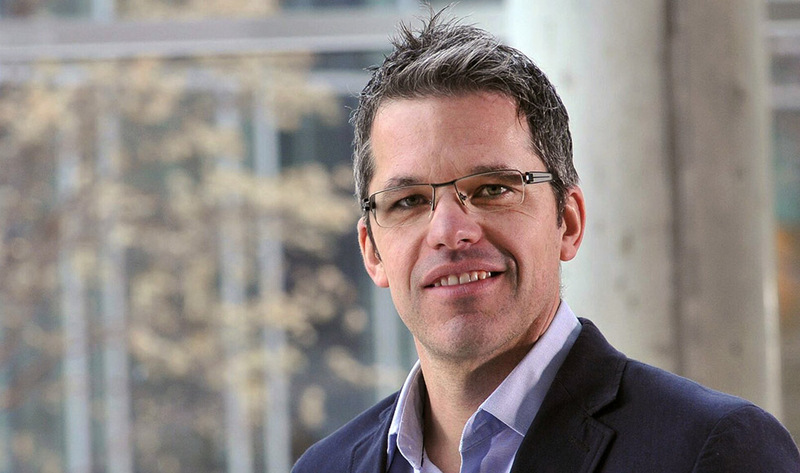 Today, Coombes is a professor in the Department of Biochemistry and Biomedical Sciences at McMaster University’s Michael G. DeGroote School of Medicine, and he was appointed chair of the department in January 2018. He also holds the Canada Research Chair in Infectious Disease Pathogenesis. Of his many accomplishments, Coombes notes he is particularly proud of the research lab that he built from the ground up at McMaster. The major focus of the Coombes lab is drug-resistant bacteria associated with acute and chronic human diseases, including Crohn’s disease. “Our research stems from a simple question – how do bacteria become pathogens?” he says. “We are trying to understand things like how bacteria know whether they are in a human or animal, why some bacteria are pathogenic in humans and not in animals, and how they can rewire their gene expression to become pathogens when they change hosts.” In recent years, the team’s work has expanded to include antibiotic resistance. 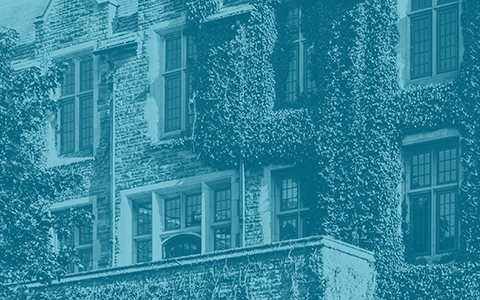 Coombes has partnered with McMaster’s Gerry Wright and Eric Brown to find answers in the growing crisis. “The focus of these collaborations has been on finding a molecule that doesn’t act like an antibiotic to kill the cell, but rather alters the bacteria to change its chemical properties to make it more susceptible to the immune system,” Coombes says. “We believe this approach can go a long way to solving the current state of affairs in the fight against drug-resistant infections.” Based on a growing interest in innovative research partnerships, Coombes’ team has also paired with fellow department member Jonathan Schertzer, who is breaking new ground in immunometabolism on how dietary and bacterial factors connect immunology and metabolism. “We are marrying our microbial expertise with the world of immunometabolism to understand how metabolic diseases, like diabetes and obesity, impact host immunity,” Coombes says. “You truly push the envelope when you are on the fringes of two different fields. That’s where the best innovation and discovery happens and you need great collaborators to make that work.” As the former associate chair of graduate education in the Department of Biochemistry and Biomedical Sciences, Coombes firmly believes in mentoring the next generation of scientists. His well-known mentorship program has drawn top trainees to his lab. He affectionately calls them his second family. He proudly notes nearly every trainee who has passed through his lab has received an external award, totaling almost $2 million in funding. “People need to understand there would be no biomedical discoveries if it weren’t for trainees,” he says. “They are the next generation and the lifeblood of Canada’s research engine. These are graduate students, postdoctoral fellows and, more often, undergraduate students.” Coombes has a long list of awards and grants to his name, among which include McMaster University Scholar (2016), Canada’s Top 40 Under 40 (2010) and an Early Researcher Award from the Ontario Ministry of Research and Innovation (2008), among others. “I alone didn’t do the things that made me competitive and worthy of receiving these awards,” he says. “These awards are based on research accomplishments, innovation and discovery. None of that happens if the team is not strong. This is a testament to my research team.” Gerry Wright, director of the Michael G. DeGroote Institute for Infectious Disease Research, was a member of Coombes’ PhD supervisory committee. He played a central role in recruiting Coombes back to McMaster in 2006. “He was remarkably impressive even back then, with great curiosity and tremendous work ethic, and I knew he was destined for great things,” says Wright, a professor in the Department of Biochemistry and Biomedical Sciences. “I was delighted to help repatriate him to McMaster as a faculty member where he has established a tremendously exciting research program and developed into a world-class leader.” Coombes says his career allows him to continually fuel his fascination with discovery and creativity. He and his wife, Megan, are working to inspire that same resourcefulness in their children, Lauren and Ben. “Research isn’t just pure, hard-core science,” he says. “There is a tremendous amount of creativity. You have to think of a question, design an experiment to answer that question, understand what the data means and develop the next question. “I think it is this creative aspect of science that rekindles the seven-year- old in me looking under rocks."